On Thursday 2nd April 2015 the Dundalk Lion’s in association with Dundalk FM ran a coffee morning. We received 120 mobile phones and some people left in a donation. Thanks to the Home Bakery for the fantastic buns and cakes, we would also like to thank Marion and all the staff of the Community Offices, for keeping us supplied with coffee and tea. 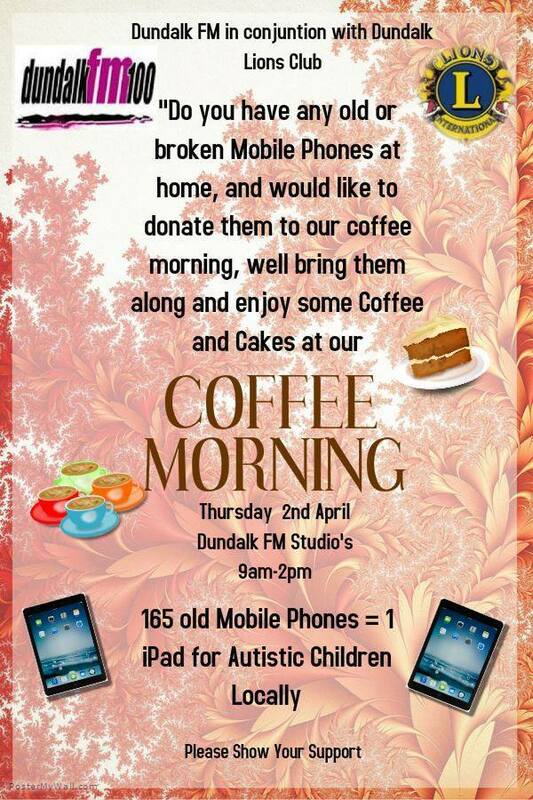 If you still would like to donate your old mobile phones to this great cause, you can leave them into Dundalk FM studio.